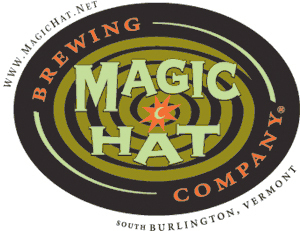 The Magic Hat Brewing Company & Performing Arts Center has announced sales results for the 2008 calendar year, and the numbers show that the brewer continues to perform well despite a shaky American economy and the rising prices in production costs. Magic Hat enjoyed a 26% growth in sales in 2008, with December sales up 40% from the previous year. Debuts in several new territories, including Chicago, Milwaukee and Atlanta, as well as continued double-digit sales growth in mature markets, helped Magic Hat’s flagship beer, #9, enjoy a 14th consecutive year of double-digit growth. Sales for the not quite pale ale were up 33% in 2008. With Magic Hat’s brewery expansion nearly complete, the brewer expects to put out 165,000 barrels in 2009, a significant increase over the 127,586 barrels brewed in 2008. I love magic hat beers. Good stuff!